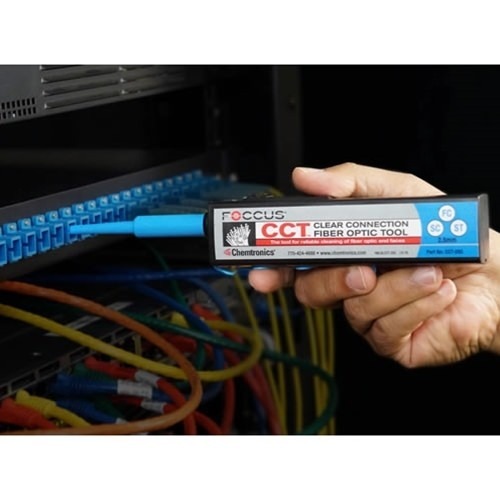 CCT™ Clear Connection Tool used with the FOCCUS™ MX Precision Cleaning Pen provides a fast, simple method of fiber optic cleaning. End faces in bulkheads or on cable assembles are both effortlessly cleaned the first time . . . every time. 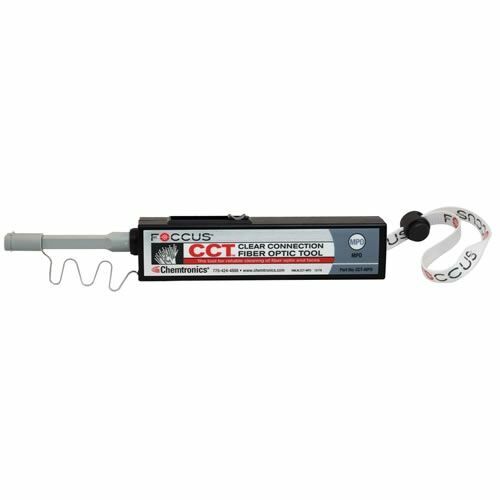 CCT has an easy to use mechanism that advances fabric over a cleaning tip with just a short push and click of the tool. 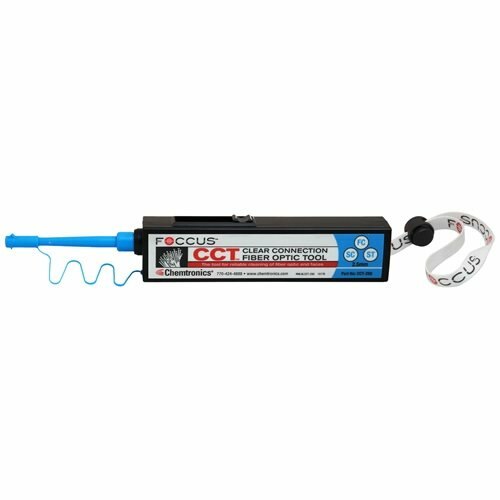 Using the CCT with the FOCCUS MX Precision Cleaning Pen provides for fast, easy and repeatable Combination Cleaning™. CCT Cleaning Kits come with an MX Precision Cleaning Pen. 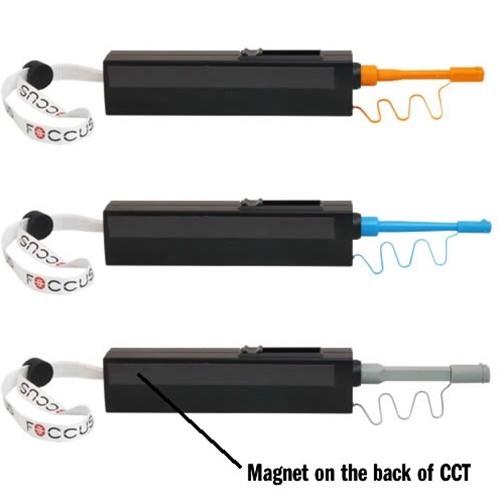 Wet the CCT fabric tip with the MX pen, insert the CCT tip into the connector, and push in the tool 1 click to advance the fabric from wet-to-dry, perfectly cleaning the end-face. 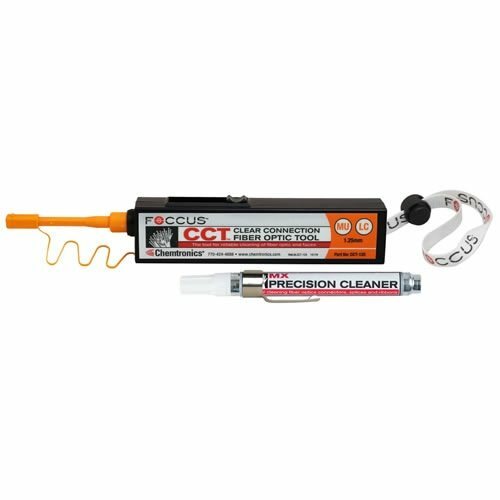 Combination Cleaning™eliminates all debris and contamination the first time, avoiding expensive rework and truck-rolls from bad connections. 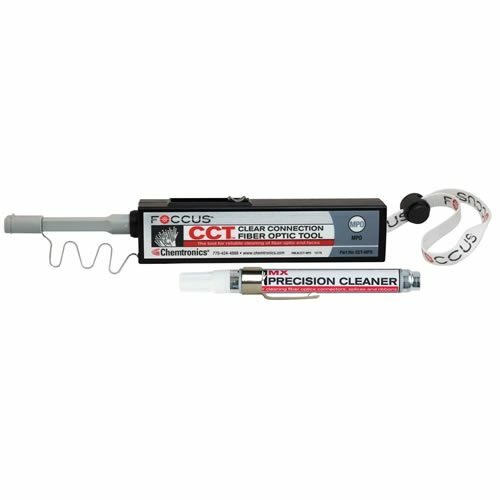 Combination Cleaning™ is industry proven, exceeding IEC 61300-3-35, IEC TR62627-01, and meeting Telcordia GR-2923-CORE and SAE Aerospace AIR6031. 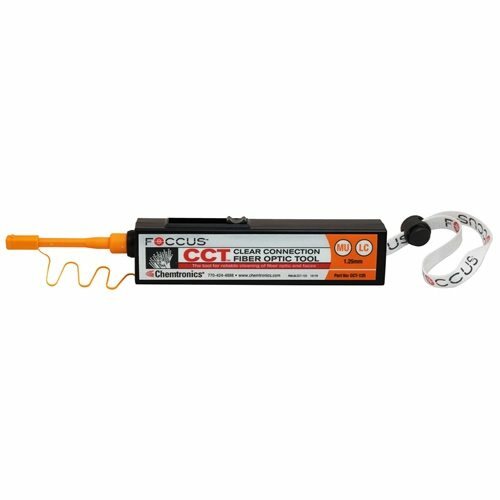  Up to 800 cleanings per kit -- 33% more than other tools! 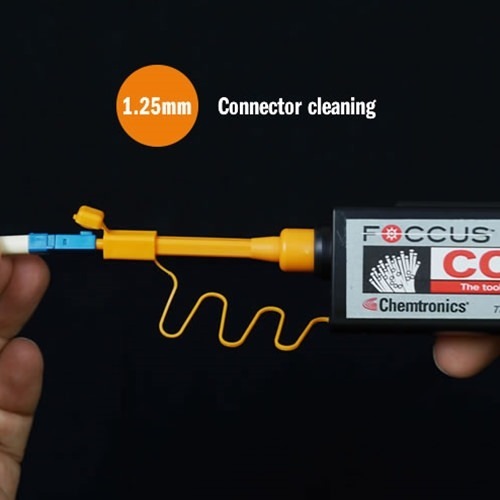 Cleaning tool for 1.25mm MU and LC connectors. 4 per case. 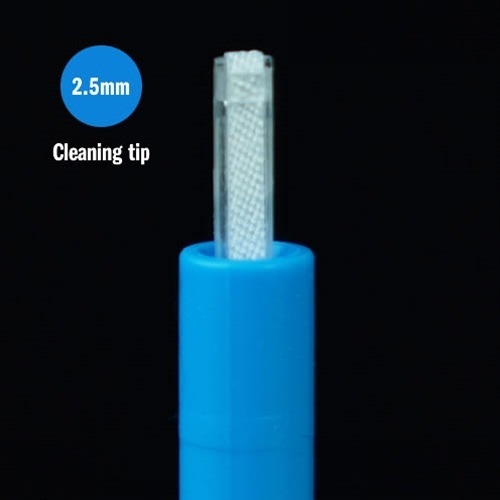 Cleaning kit for 1.25mm MU and LC connectors. 4 per case. 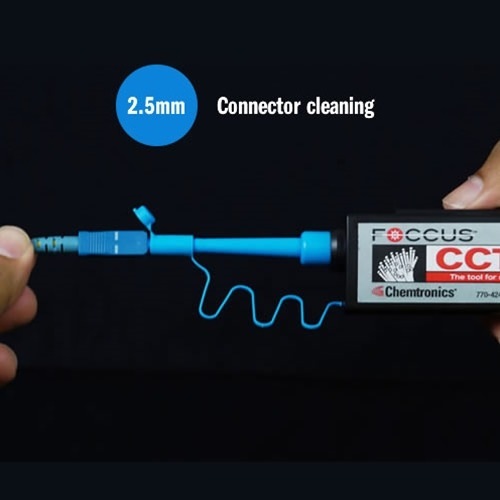 Cleaning tool for 2.5mm FC, SC and ST connectors. 4 per case. 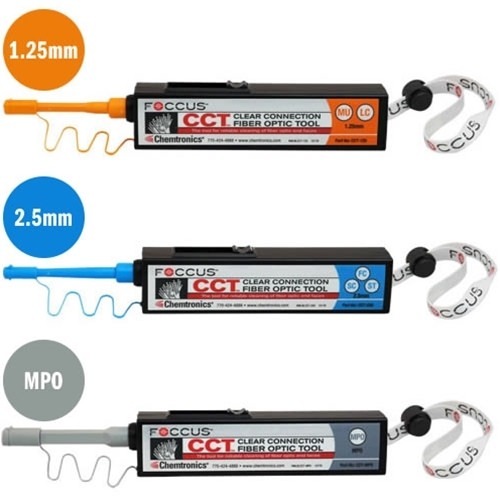 Cleaning kit for 2.5mm FC, SC and ST connectors. 4 per case. 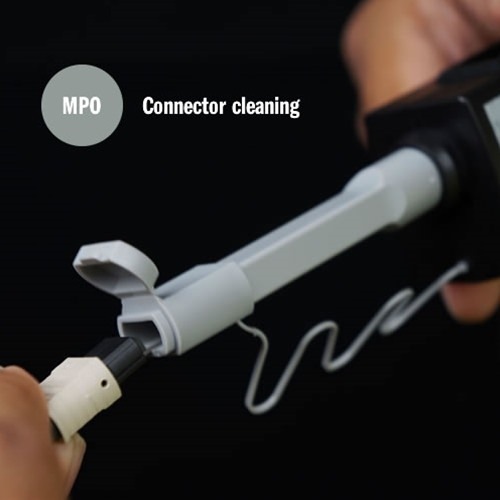 Cleaning tool for MPO connectors. 4 per case. 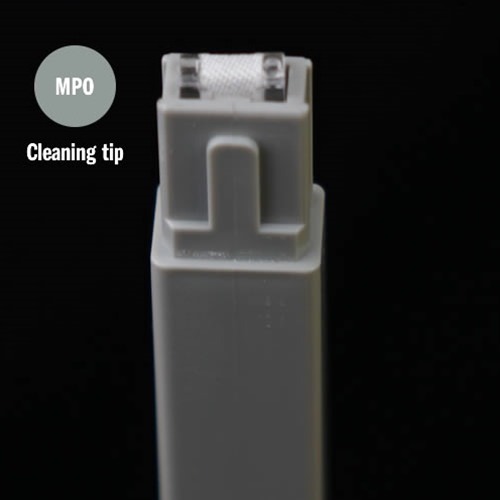 Cleaning kit for MPO connectors. 4 per case.